Google is tracking you, but you can change the settings. There was a lot of news coverage last year about Google tracking you. If you didn't want your location mapped, the answer was pretty simple. You just had to turn off location history. But Data Doctors Ken Colburn says "I think people assume when you turn that off, you turn off all tracking info for all of Google products and that's not the case." Colburn says it happens even if you don't uses Google maps, or if you have an iphone. 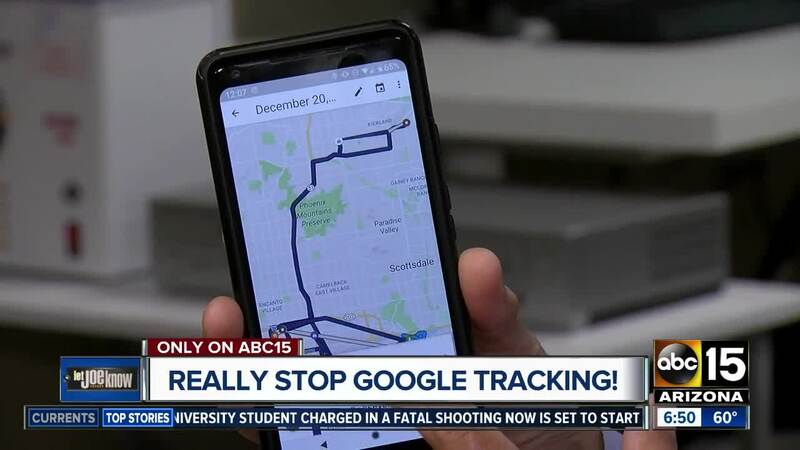 Last year, the Associated Press found if you use Google weather updates or use it for searches, your location can be mapped and stored despite turning off location history. If you don't like it there's another step. Colburn says you need to go to your web and activity settings and manually make changes. This will impact how other functions work. So know if those impacts are acceptable before making any changes. Click here for more on Google tracking.